Meandering along the Mississippi River, under live oaks and through bustling neighborhoods, streetcars are one of the most scenic ways to get around New Orleans. There are four operating streetcar lines in the city: the famous St. Charles Avenue Line, the Rampart/St. Claude Line, and the Canal Street Line, which has two branches leading to the cemeteries and to City Park. 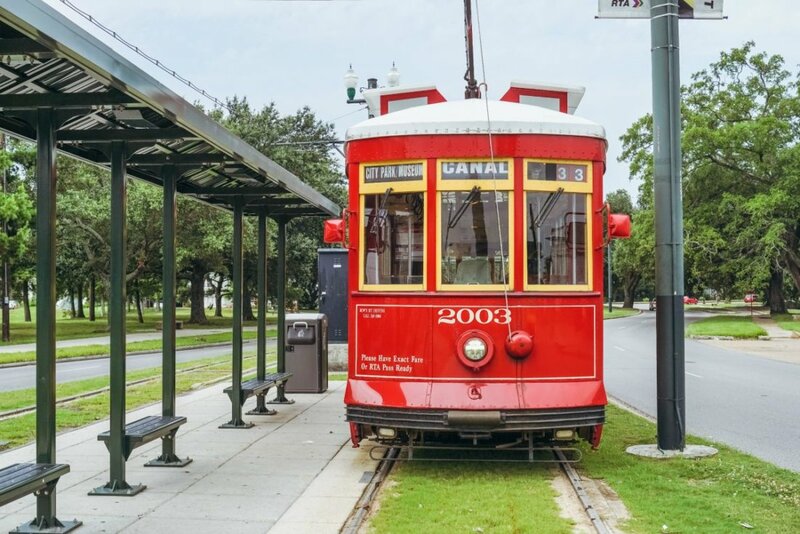 We love the Canal Streetcar Line because it covers a diverse cross-section of New Orleans, from the French Quarter and the Mississippi Riverfront, through downtown and all the way to City Park in Mid-City. Both Canal Streetcar branches begin at the back end of the French Quarter at French Market Station and end either at the Cemeteries Transit Terminal or at the New Orleans Museum of Art in City Park. Hop on the Canal Streetcar for $1.25 in cash for a one way ride, or choose from an array of Jazzy Passes for unlimited streetcar rides for one day, three days, or more. Here are some of our favorite stops along the route, and what to do while you’re there. 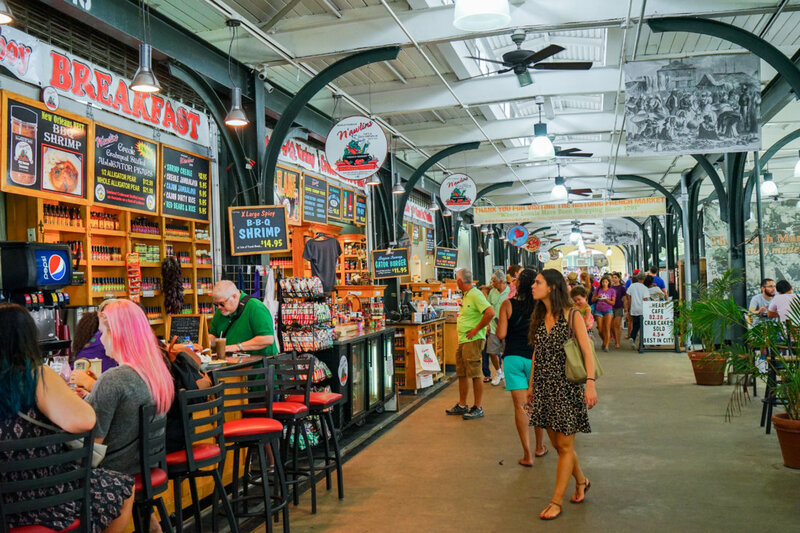 Near the intersection of Esplanade Avenue and N. Peters Street, French Market Station is located in the back corner of the French Quarter, where the Mississippi River bends. If you’re looking for a souvenir or unique pieces, head over to the French Market where you’ll find great shopping, from the flea market to local artisan and boutique retailers. Here you can also grab a bite to eat from food vendors offering sandwiches, seafood, and desserts. If parks are more your thing, this stop is also near the entrance to Crescent Park, which provides a beautiful view of the Mississippi River. At the front end of the French Quarter bordering Canal Street, the Harrah’s Casino stop provides easy access to – you guessed it – Harrah’s Casino. 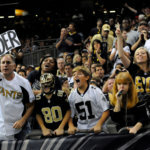 Even if blackjack and roulette aren’t your thing, Harrah’s also houses dining options including Acme Oyster House and Manning’s on Fulton Street where New Orleans football legend Archie Manning has opened his ideal sports bar. 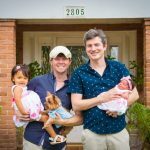 For those traveling with children or those who are more drawn by the power of nature, the Audubon Aquarium of the Americas is also a short walk from this stop. Here you’ll be amazed by the gigantic rays, sharks, and sea turtles, dazzled by the colorful coral of the Great Maya Reef, and relish the chance to play with penguins and sea otters. Nature lovers can continue on the the next stop: Canal at S. Peters. Here you’ll find the Audubon Butterfly Garden and Insectarium where you’ll learn why insects are the building blocks of all life on our planet. You’ll have the chance to both learn about the pests living in Louisiana swamps and be dazzled by thousands of butterflies. If you’d rather update your wardrobe than play with bugs, head next door to The Shops at Canal Place, which is filled with upscale retail shops such as Louis Vuitton, Anthropologie, and Lululemon. 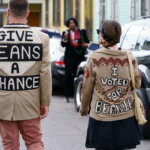 The stop at Canal and St. Charles provides easy access to the Royal Street antique shops and art galleries, such as Royal Antiques, Jack Sutton Fine Jewelry, and Angela King Gallery. 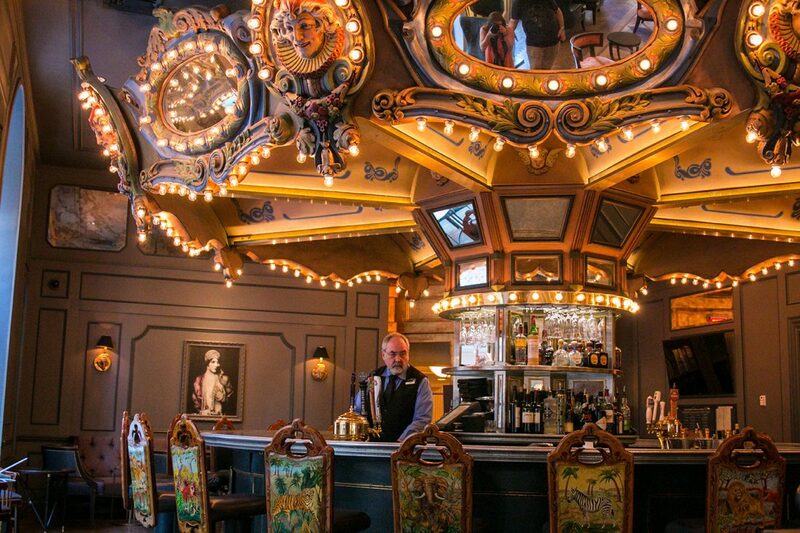 When you get thirsty, head over to the Hotel Monteleone and sit down at the Carousel Bar, a merry-go-round bar that has not stopped revolving since it’s installation in 1949! This is a great place to try a classic New Orleans cocktail. 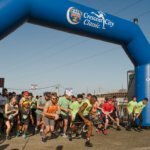 The S. Rampart Street stop is for the theater-lovers – it puts you within easy walking distance of the Saenger Theatre, Joy Theater, and Orpheum Theater. Shows at the Saenger include Broadway tours, while the Orpheum is home to the Louisiana Philharmonic Orchestra and the Joy hosts concerts with both local and touring musicians and comedians. If you’re a music lover, you may want to check out the stop at Canal and S. White. From this stop, you can easily walk to Chickie Wah Wah, an unassuming but locally-revered club playing live jazz almost every night. Here you can check out some of the very best local artists on their home turf and enjoy drinks and a delicious menu of classic BBQ dishes. A short walk from the Canal and S. Carrollton stop, you’ll find Mandina’s, a laid back family-style restaurant serving Creole seafood, and Italian dishes. For dessert, head over to Angelo Brocato, a gelateria that has been a New Orleans institution for over 100 years. With a history steeped in Sicilian tradition, Brocato is famous for its gelato and cannolis. This is the final stop on the City Park branch of the Canal Streetcar line, which drops you off at the front door of City Park. 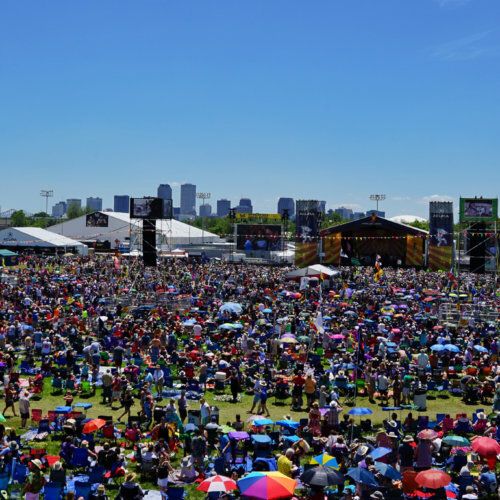 This 1,300 acre oasis in the midst of New Orleans is home to running and biking paths, paddle boating, sculpture garden and botanical gardens, and the New Orleans Museum of Art. NOMA is one of the city’s oldest art institutions and boasts a permanent collection of over 40,000 objects. 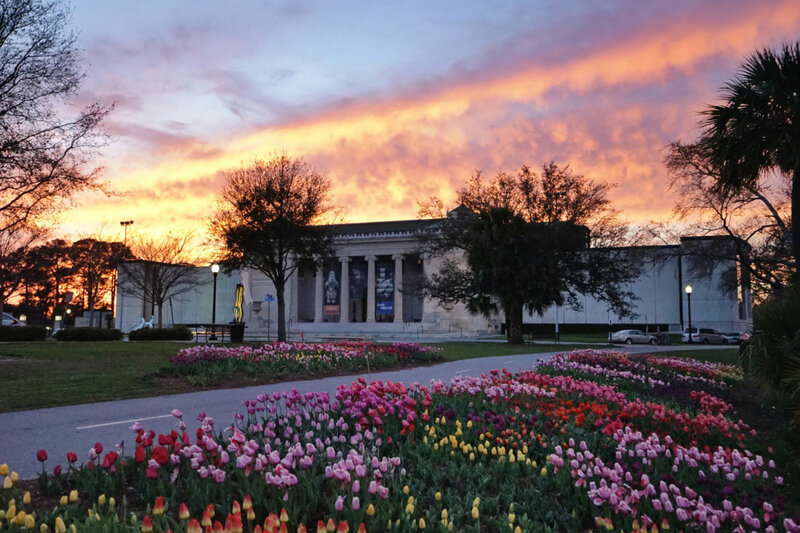 Here you’ll discover everything from the art of ancient Egypt to the best of Louisiana art.